I have been so busy lately that i haven’t done a proper post in quite a while. I wanted to get one in before i shove off to Utah for a couple weeks. And i have the perfect subject to do it: fieldwork! Ok I’m over blowing it a bit. I merely tagged along. 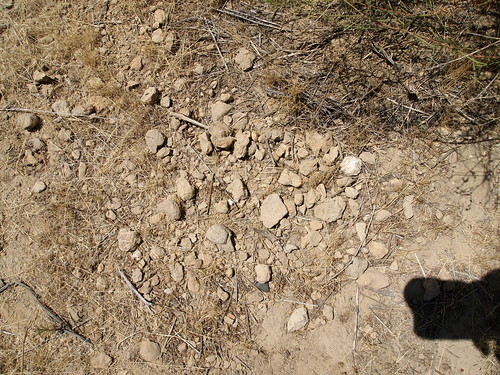 Charles Powel,II of the US Geological Survey was searching for fossil invertebrates on the eastern side of Carrizo Plain National Monument. He was nice enough to invite me along and help him look for stuff to use in his research. The fossils we were looking for were mostly molluscs who lived and died at the bottom of a shallow bay. 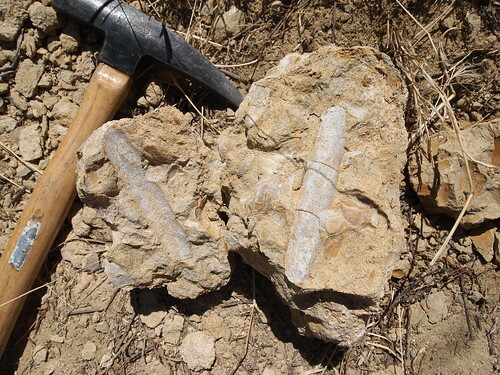 Chuck was out to collect fossils to compare to a similar set found north in the Salinas Valley. 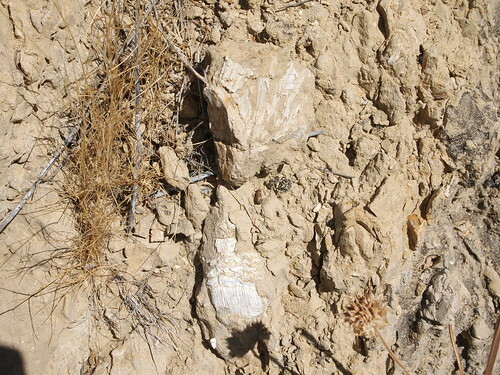 The fossils from the Salinas Valley are from the west side of the San Andreas Fault while the fossils from the Carrizo Plain are on the east side of the fault. 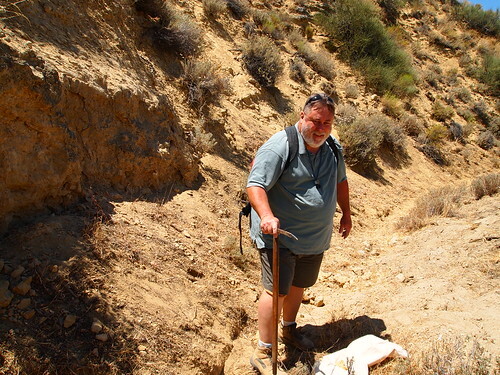 Chuck and a coleague hope that they can shed light on the movement of the San Andreas Fault. I learned a lot from this little foray. I learned that invertebrate paleontology can be just as difficult as for vertebrates. 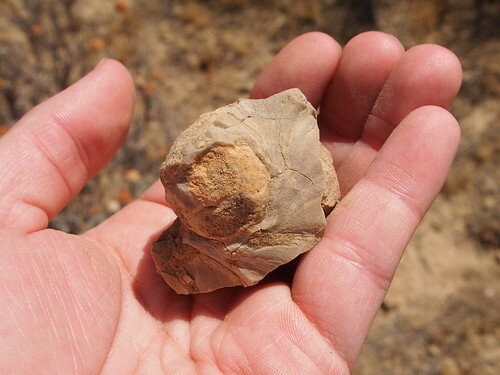 For example, at the first locality we checked out, i walked right past a cache of fossils. Believe it or not, those are fossils! A largely complete clam shell. This was the best one we found at the site. There was a third locality Chuck wanted to search, but we couldn’t find it. His map was over 30 years old and the last time fossils were collected at the site was in the 1930’s. There was a road that was supposed to take us to the site but it was nowhere to be found (that’s the main reason for our trouble). We trekked around a little bit but rather than get lost we decided to wrap it up. How many shell fragments did the paleontologist have to sift through before he found this fine specimen? Invertebrates may not be as exciting or as impressive as the large vertebrates that dominate museum displays, but they are just as important. 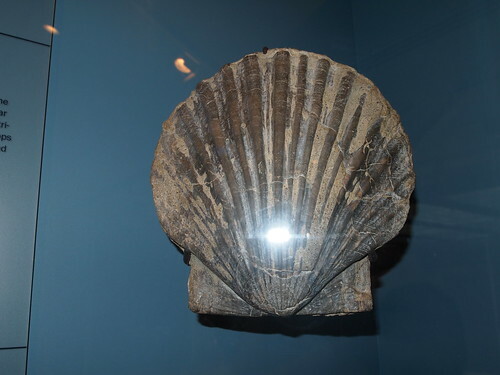 They can inform us about ancient climates, geologic movements, and other things (a display at the San Diego Natural History Museum discussed how marine invertebrates could be used to map the extent of San Diego’s Pliocene bay). But does this mean we should forsake the vertebrates? No! Vertebrates (big and small), invertebrates, plants… these are all records of past life. The all have something to say. They are all pieces of the same puzzle: pontificating on which is more exciting (ie “Yeah we have found dinosaurs in the Denver formation. Big deal. This is the real exciting stuff”- Kirk Johnson, in regards to fossil plants) or more important or who is overrated will not help us complete the picture. To put the puzzle together, we need all the pieces, big and small. 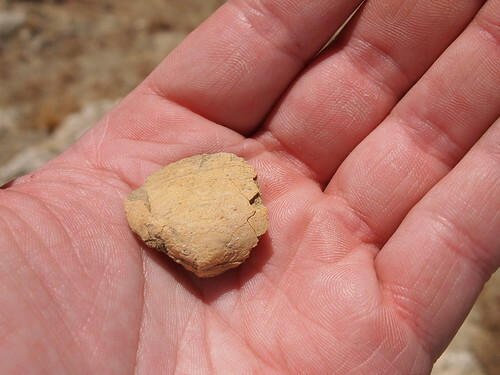 While they were small, incomplete fossils of invertebrates, i no less got that thrill of discovery in finding them. 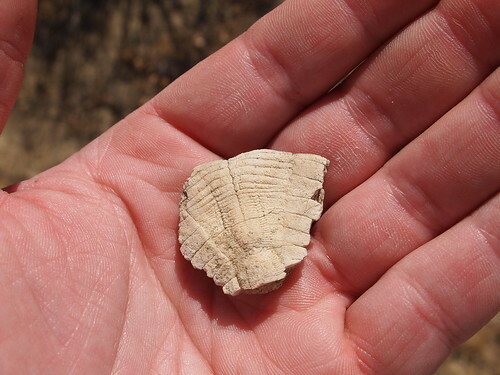 I have spent so many years dreaming of one day going out into the field and looking for the fossils that have occupied my mind my whole life. And now i have finally realized that dream. It was only for a few hours, but the rush was there. Hopefully this is the launching point for more field work to come (it even spawned a new catagory, one that may not see an update for quite some time). Holy hell the last week and a half have been a blur! Going up to Madera County, getting committed, 4th of July, and of course, the Dino Social Media Meetup at the Natural history Museum of Los Angeles County. I have spent the last few days slaving away trying to get my video coverage edited. It took awhile to get it done because not only do i have to go in and position photographs instead of video, but also because part of my learning disability dictates that i do better when i can take my time instead of the pressure of a deadline. So I am not going to write a long winded article like i usually do since i discuss so much in the videos below. But a couple things to touch on. First, this hall was friggin awesome! And to get a sneak peek was unbelievable! I just wish i had more time! One of the conditions of attending was posting updates or photos at least once during the event with the hashtag #NHMLADinos, which i was sadly unable to fulfill because 1) not enough time 2) my phone doesn’t have a facebook app (i have neither the money nor the need for an iPhone. Though i wish i could have rented an iPad for the event). Many of the the mounts from the old hall return such as Mamenchisaurus (with a fancy new skull no less), Allosaurus, Stegosaurus, Carnotaurus, and Morenosaurus. Several new guys joins the crowd too such as Triceratops, a growth series of Tyrannosaurus rex, and a plethora of original specimens. I also got quite a kick out of talking with the people behind the exhibit. Judging from tags people were wearing, there were more Dinosaur Institute personnel there than the ones i talked to, but so what; the people i talked to were awesome. I even managed to score a little chit-chat with Dr. Luis Chiappe, the museum’s curator of dinosaurs. A couple of them, Doyle and Paige i believe, who mentioned volunteering at the museum. I appreciate the thought, but i am not sure how to make that work at this time. I toyed with the notion of being able to go down once a month, but the museum’s volunteer application said that it has to be once a week (among other parameters), so i don’t know. If any museum personnel are reading this and have any ideas, I’m all ears. If you would like to view the actual photos used in these videos, you can check them out here (they don’t have labels or descriptions yet; i will try to get around to that, time permitting). All i know right now is that i am totally burned out and am glad to have finally gotten this video up. Addendum: I did a little followup video.